A couple of weeks ago I was invited to spend the morning at Booktrust. 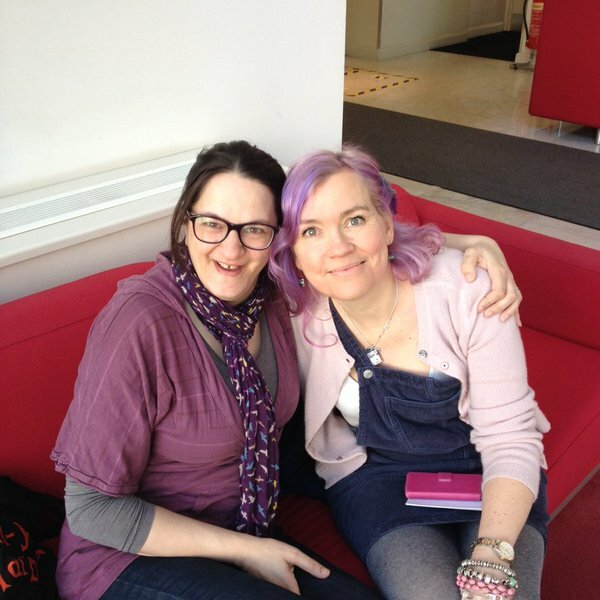 Alongside some other members of SCBWI and a few parenting bloggers, we got to see what really goes on in the world of Booktrust. Here is a write up of the event. Arriving on a warm, sunny Friday morning in Battersea, I fell in love with the Booktrust offices as soon as I saw them. Situated in a suburban area, the offices are modern, neutral in colour and channelling an extremely relaxed atmosphere. 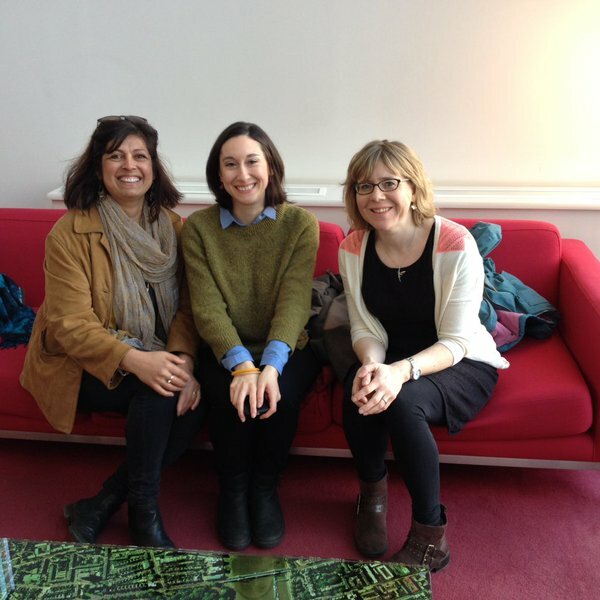 We were shown through Booktrust's open plan offices to their floor to ceiling glass meeting room, where author, Anna McKerrow, who is also the Booktrust's Children's Book Reviews Editor & Writer and Harriet Jackson, Press Officer, waited to greet us. After we all introduced ourselves, Anna gave us an overview of what Booktrust was all about. Their aim is to transform the lives of children and families by getting them to read. Through Bookstart and Time to Read, by giving away millions of book every year to babies and children starting school. Producing high quality programmes for schools that are aimed at encouraging children to read. These programmes include: Bookbuzz, Story Hunter and School Library Packs. Sending children in care, regular book parcels through the Letterbox Club scheme. Extensively reviewing all the latest books and providing parents, teachers and children with an online Bookfinder. Running well known writing competitions such as the Blue Peter Award for Children's Books. These wonderful schemes were discussed in further detail and we all discovered that the Booktrust team are involved in a lot more than we were aware of. Bookstart is one of the Booktrust's better known iniativies. They provide almost three million children aged between 0 to 12 months and 3 to 4 years old with books to help them experience how powerful reading can be in their lives. This initiative has been emulated around the world and Booktrust have worked with many countries to help implement it. This Autumn, Booktrust are launching a new campaign aimed at encouraging parents to continue to read with their children after they have started to learn to read at school. So in October, every Reception aged child will receive a picture book from Booktrust with a guidance leaflet on how important shared reading is within a family. The award winning Letterbox Club runs in partnership with the University of Leicester. The aim of the project is to provide books and enjoyable educational support, to children within the care system. For six months of the year, a child aged between 5 and 13 receives a parcel personally addressed to them, containing books, activities and stationary, alongside a letter from an author. For many children this is often the first parcel they have ever received. The books for each parcel are carefully picked, trying not to focus on family life, instead aiming for more lighthearted situations. It has been successfully running now for 10 years. Last year alone, they sent out 10,451 parcels to looked-after children, which also includes children going through the adoption process. This pack is available for free to any secondary school in the UK. Consisting of over 40 free books, it also contains library resources to help encourage students to try books they wouldn't perhaps consider. 4,700 schools received this free package last year. Bookbuzz is a subsidized scheme (thanks to the support of publishing industry) which allows 11 to 13 year olds to choose a book of their own from a carefully selected list of 17 titles which changes every year. The aim is to encourage kids heading into their teenage years to read for pleasure. 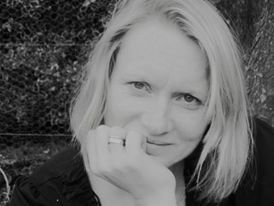 Books on the scheme this year include Flirty Dancing by Jenny McLachlan and Tornado Chasers by Ross Montgomery. 250,000 students in over 1,534 schools are taking part this year. Story Hunters is their latest paid for initiative, which is aimed at children in Year 4, who may be highlighted by a school as a struggling or reluctant reader. This may include children who don't necessarily have books at home as well as ones who have lost interest in books as they have progressed through school. Similar to the Letterbox Club scheme, each child chosen will receive a personalised pack of carefully selected books and activities once a month over a six month period. The first scheme will run for October 2016 through to March 2017. This will allow them to build up their very own library and hopefully encourage the enjoyment of reading at home. These are just some of the wondrous things Booktrust do for our children. 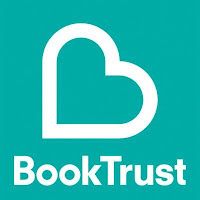 After learning about all the projects Booktrust were involved in, Sita Brahmachari, talked about her six month position as the Booktrust Writer in Residence. She discussed how she used her blog posts to discuss diversity and finding authentic characters. The writer in residence for the next six months is Phil Earle. I had a wonderful time at the Booktrust offices and I'm proud to now call myself a Booktrust blogger. I hope to be able to support them as much as I can. A huge thank you to Anna McKerrow and Harriet Jackson for taking the time to talk to us and for providing us with the best lunch I've ever had at an event, alongside a goody bag full of books. Lunch! Best one I've ever had at an event. If you haven't already noticed, Sentence Structure & Punctuation Checker is already available for several years and it offers important advantages for anyone who writes in English. Ah! What a great blog. I have a site punctuation checker free for students who find difficulties whenever they speaking.